Welcome to Stonefield Cellars Winery! Looking for a wonderful wine and winery experience? “Great wine, great people, the best in North Carolina!” – Just one of the many accolades that Stonefield Cellars receives from guests that have visited our NC winery. 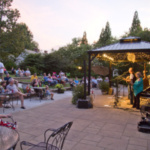 Conveniently located just north of Greensboro, we offer award winning wines in a beautiful, relaxed setting. Our Tasting Room is the perfect place for you to enjoy your wine tasting and then linger with friends, sharing a bottle and enjoying some of our cheese, cracker, and other snacks available for purchase. We always have great events going on – please check our events page for details (quick links to our calendar are to the right). Our Tasting Room is open Thursday, Friday, and Saturday Noon – 6pm, and Sunday 1-6pm. Our last wine tasting starts at 5:30pm. If you are coming with a group of 6 or more people, please call ahead so that we can accommodate you (336-644-9908). 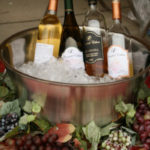 Want to have a party at the winery? Our Barrel Room and other property areas are available for private party rental – see our Private Parties page. Inclement Weather Policy: We rarely close or cancel events due to inclement weather, but if we do, we will post it here and on Facebook. We want you to be safe, so please use good judgement whenever you consider traveling during inclement weather. We sometimes need to move an outdoor event (e.g., Friday Flavors Concert) inside. We will post any such information on the specific event page as soon as we have made the decision. You are always welcomed to call us to inquire on the status of concert location. Property Polices: To ensure the best experience for all of our guests we do not allow smoking or dogs on our property, and we ask that patrons do not wear perfume for visits to our tasting room. Children are welcome with adult supervision (we even have crayons and scrap paper available)! For more information please check out our Property Policies Page. 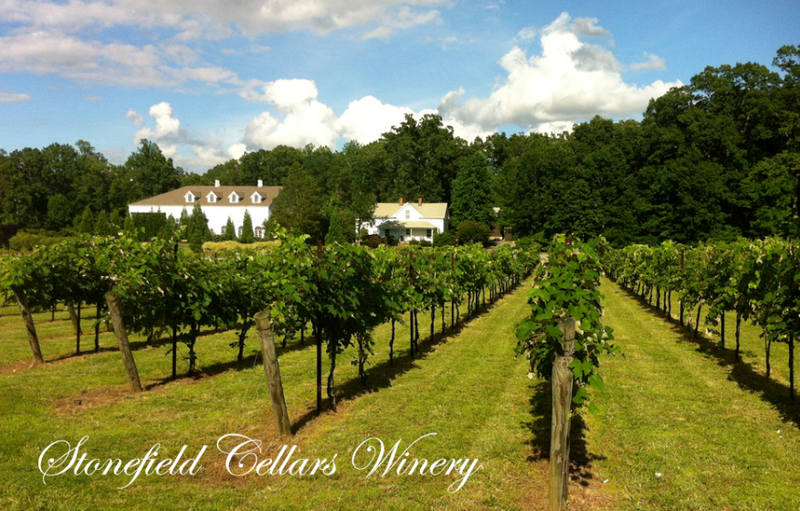 Stonefield Cellars Winery has been featured on UNC-TV’s NC Weekend Show! You can watch us at minute 15:15 – HERE! For a video of our onsite bottling process click HERE! 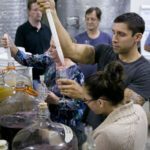 We look forward to providing you with an exceptionally wonderful winery experience whether you live locally or are traveling! NEW RELEASES – Mountain Mama Madness White: A non-oaked Chardonnay. ON THE HORIZON – Gewurz White: A dry Gewurztraminer exclusively for our Wine Club Members! Reserve Zinfandel: A dry red Zinfandel with bold fruit flavors.